The 2018 NFL season is getting closer with rookies and veterans reporting to training camp this week. 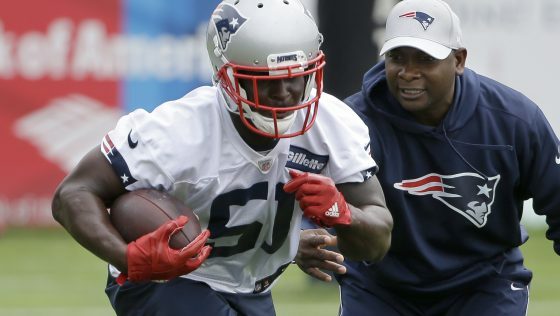 It’s also beginning to feel all so real to New England Patriots newcomer Sony Michel. The running back out of Georgia and 31st overall draft pick just inked his rookie deal with the team, a league source confirmed on Sunday. His deal is for four years with a team option for a fifth year. With Michel’s new deal, the Patriots now have every draft pick under contract. Michel produced solid numbers while in four years at Georgia – recording 3,613 yards on the ground and 64 receptions for 621 yards and six touchdowns. 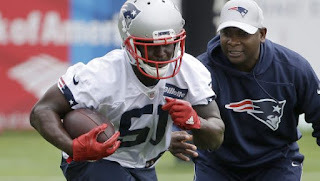 Michel will be competing on the field with a running backs corps that includes James White, Rex Burkhead, Mike Gillislee, Jeremy Hill, Brandon Bolden and Ralph Webb.